Believe it or not, many very successful organizations still run their businesses off Access and Excel. Those systems work but they are very hard to extend and modify. Given the way technology is advancing architectural limitations are not sustainable in the modern marketplace. Problem is you can't just start over, we understand that, fortunately we specialize in using our vast experience to create a road map to get your organization from point A to point B. First step is figuring out where point A is. 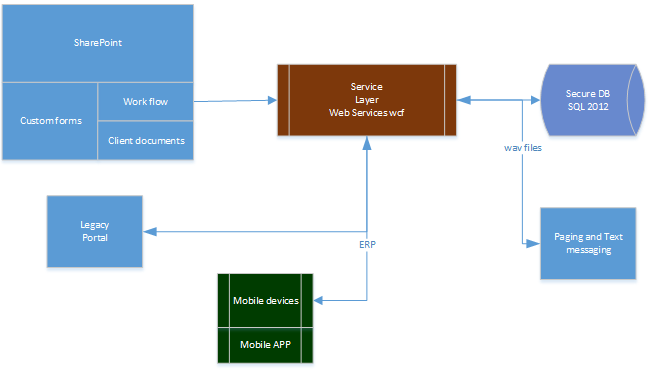 Cloud computing, service architectures and mobile devices and yes it can all work together.